On Top or rather, In Top. 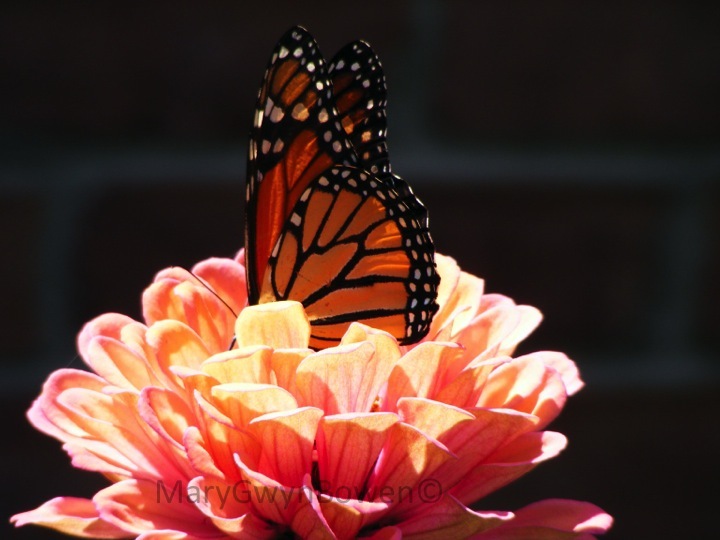 This entry was posted in art, photography, postaday, Uncategorized and tagged Monarch butterflies, postaday. Bookmark the permalink. I think it was diving in head first! Thanks! I raised this one from caterpillar. I may do that again this year. My zinnias attract butterflies like crazy! I put them in every year. My neighbors think I’m crazy running around after the butterflies with a camera! Hmmmm … what do you water your zinnias with, M-G ? There’s something in the water here in Tennessee. That why we make such good whiskey. Hi Mary! The shot is just excellent!